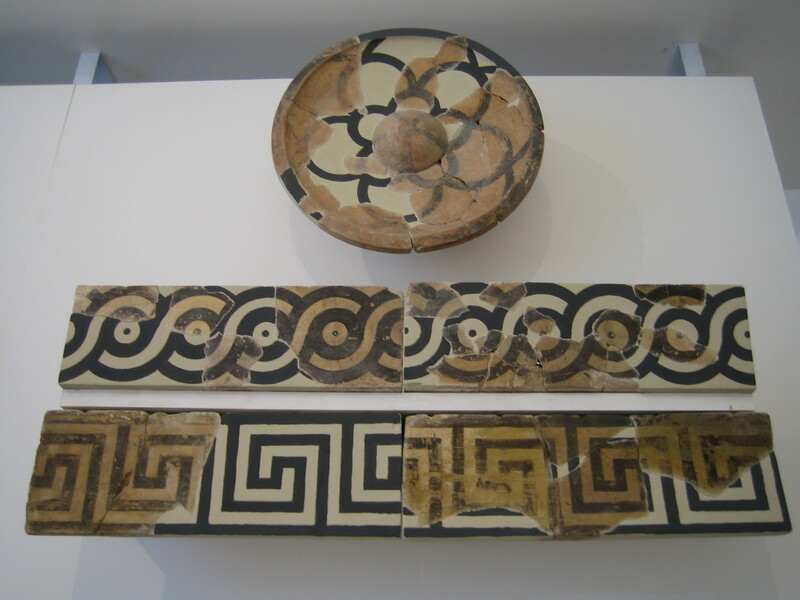 From the Archaic and Classical Period, we can see these meandering patterns which were used on walls for decoration. 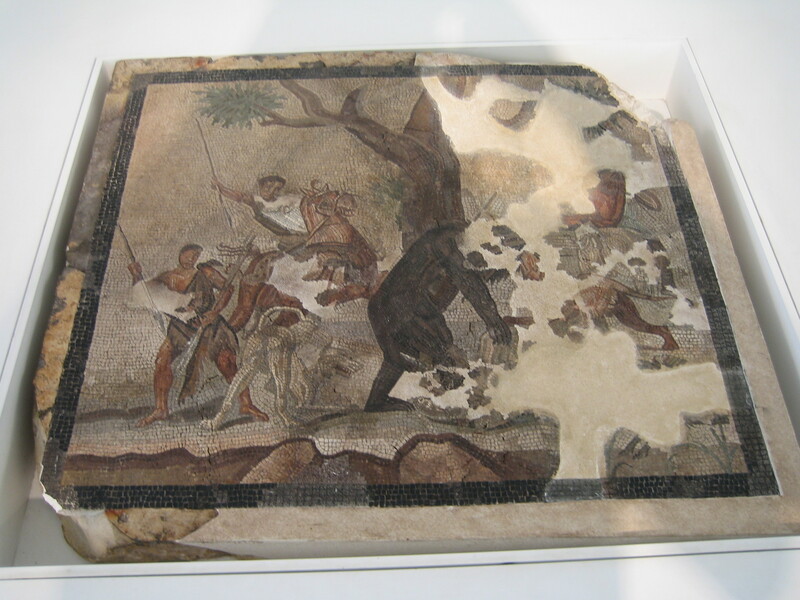 This Roman mosaic shows a bear hunt with dogs - dangerous! 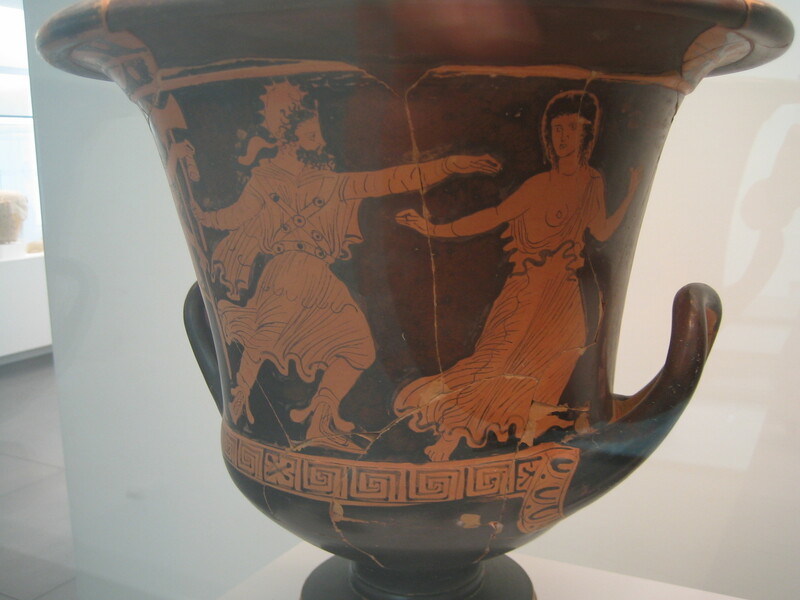 On this red-figure vase, you can (again) see a man chasing a woman ... ah, these Greeks! 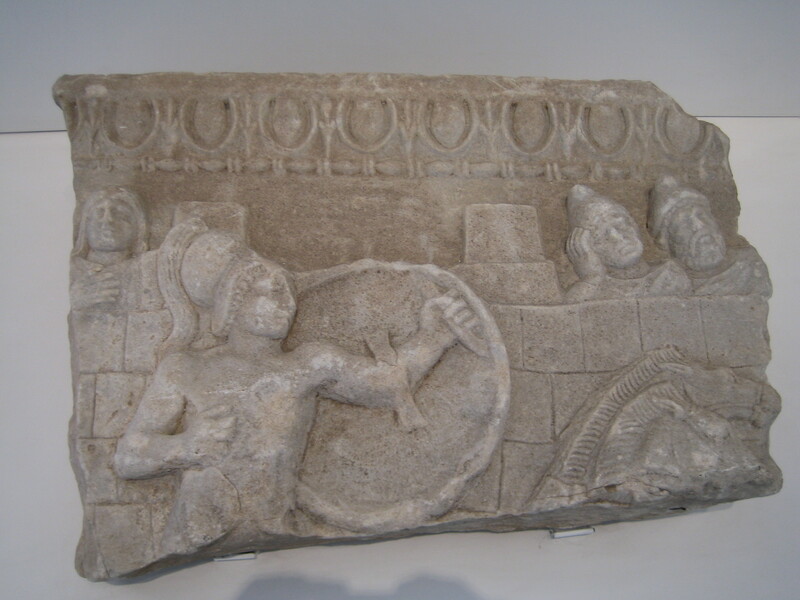 This fragment shows a siege: The attacker challenges the defenders, of whom the second one from the right looks surprisingly bored ... like "Oh, not THIS guy again!" 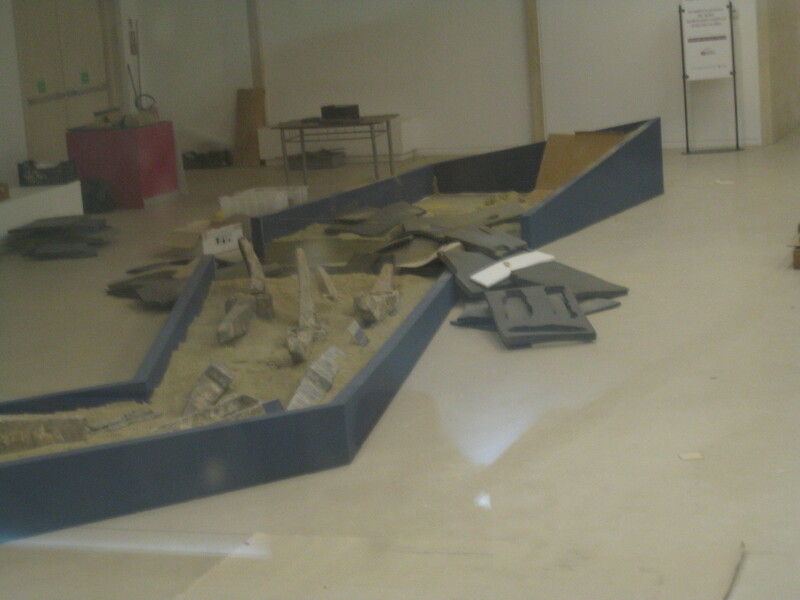 Here you can see an archeologist's lab ... no one is at work though. This content has been entered in the Erasmus Travellers Competition and have earned 112 points.